Born in 1943 in Singapore, Ang Ah Tee is a second-generation Singaporean artist and one of the nation's most acclaimed and celebrated cultural treasures. The 1962 Nanyang Academy of Fine Arts graduate is a watercolour, oil and acrylic painter, best known for his vivid landscape paintings inspired by extensive travels around the world and his compelling abstract works. The veteran artist has held 11 solo exhibitions, and participated in numerous group exhibitions internationally. In 2009, Ang received the Cultural Medallion for his contributions to visual arts in Singapore and his works are sought after and collected all around the world. Ang Ah Tee discovered a passion for art at a very young age, beginning to paint when he was five. As a boy, Mr Ang would make sketches of comic book characters, such as Robin Hood and Zorro. He did so well at art that his science teacher would ask him to draw nature study pictures on the blackboard for the class to copy. Wanting to go to an art school after his secondary school studies, Ang faced initial disapproval from his mother, who eventually allowed him to enrol at the Nanyang Academy of Fine Arts. The young Mr Ang would attend secondary school classes in the morning and rush down to NAFA for art lessons in the afternoon. This went on for about a year before he decided to pursue his NAFA education full-time, while continuing his “O” Level studies at night. Thus began Ang's formal art education, and in the three years he spent at the academy, he was tutored by Singapore art pioneers. Among his teachers, he counts Georgette Chen and Cheong Soo Pieng—both pioneering Nanyang style artists—as having the most significant influence on his art. Chen would inculcate in Ang the importance of building a strong foundation in his artistic studies and practice and Cheong's creativity was a source of constant inspiration for Ang. However, like many of his peers, Mr Ang did not make art his sole profession after he graduated from NAFA in 1962. When he graduated, he started working as a clerk in the Port of Singapore Authority in order to make a living for himself. While there, he continued to paint in his free time. 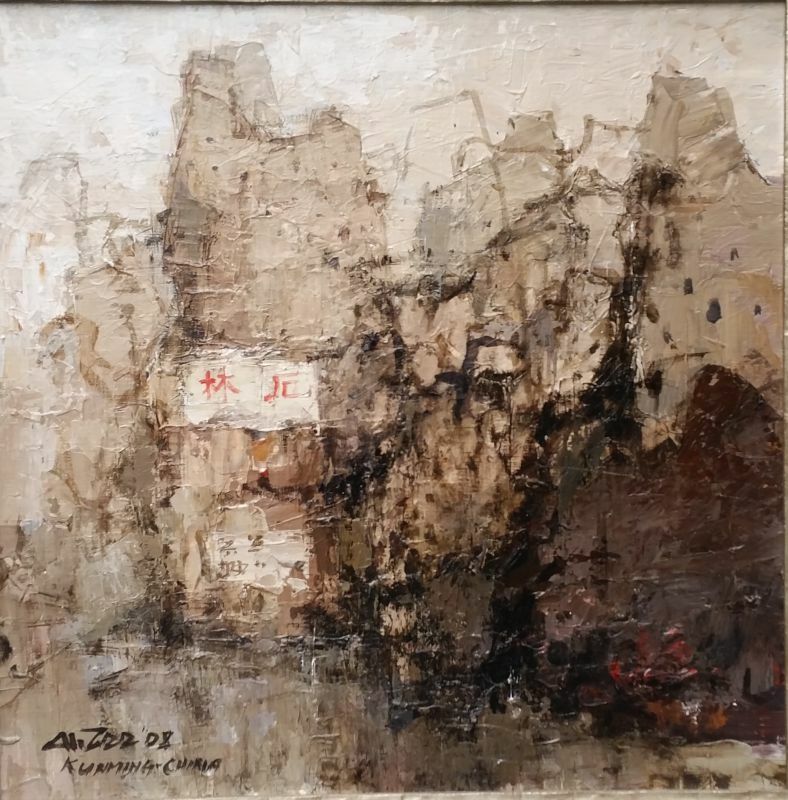 In 1974, he won the Open Art Competition organised by the Port of Singapore Authority and participated in a group exhibition in the Singapore Chinese Chamber of Commerce and Industry. Over the years, his increasingly long and irregular working hours meant that he had less time for his art. He decided to leave his job in 1977 so that he could become a full-time artist. His initial years as a full-time artist were challenging as he struggled to support himself. But with the support of Della Butcher, who was a champion of Singapore artists and held many of Ang's solo exhibitions at her art gallery, Ang gained exposure and financial support as his paintings regularly sold at these exhibitions. Ang then began travelling, at first to regional destinations such as Bali, Bangkok, Delhi and Hong Kong, and later embarking on a tour of Europe and other countries. 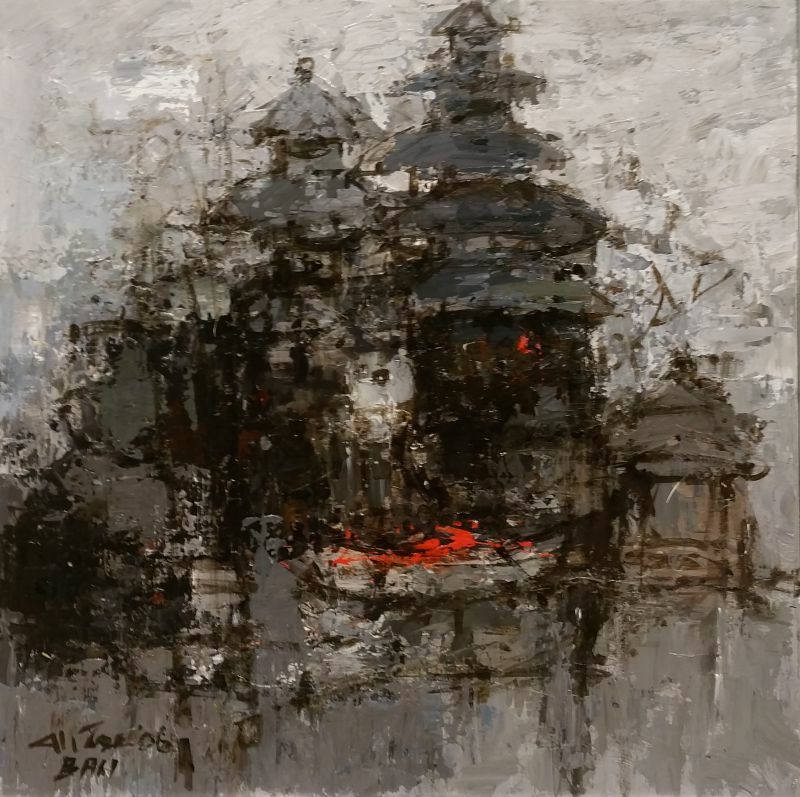 Initially known for his early watercolour and oil paintings of Singapore landmarks such as Chinatown, the Singapore River, Little India and Victoria Memorial Hall, Ang's expeditions around the world resulted in vibrant, often lyrical depictions of diverse landmarks, cityscapes, townscapes and villagescapes in acrylic, such as his renowned works Kashmir (1994), Shanghai (1994) and First Day of Summer (1996). Ang's switch to the fast-drying medium of acrylic enabled him to combine the techniques of both watercolour and oil painting and to paint spontaneously and speedily. His works, comprising both abstract and representational paintings, grew in scale. They became characterised by glowing and dense images richly textured and coloured with a warm, personal palette of reds, golds, browns and yellows, or monochromatic silver-greys applied with the strong, sure strokes of his palette knife. The prolific artist draws much inspiration from his travel sojourns, turning his observations into a figurative tapestry of colours. He employs a fine art which seems to have lost its popularity in contemporary art. However this traditional method of creation should not be forgotten as an expressive practice to realise the artist's vision on a two-dimensional surface, be it by brush or pen. Ang's sketches are often rendered in ink, drawing out surfaces and textures; he constructs architecture and the natural environment with lively strokes and bold lines. Such expressive line work continues on canvas and is incorporated into swatches of light and colour. As the artist revisits his Asian roots, line work which bears resemblance to Chinese calligraphy and ink painting has gained prominence in his recent works. 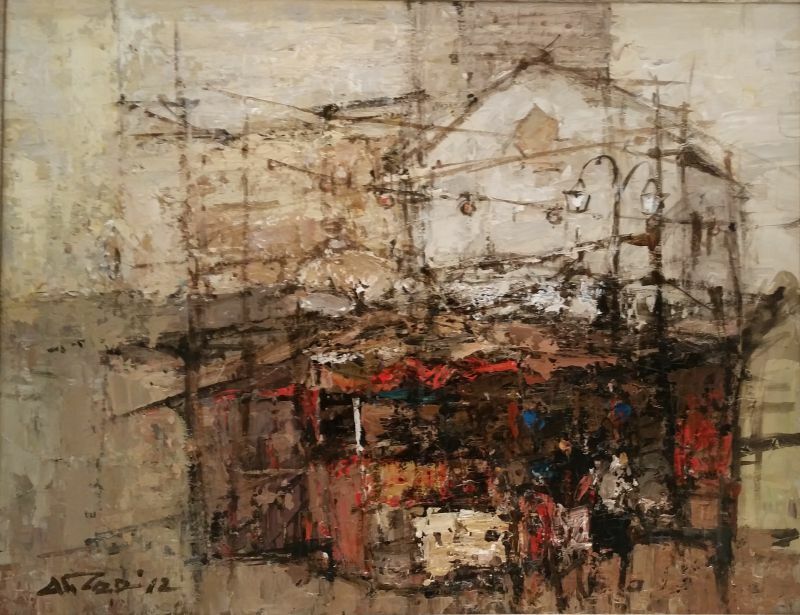 The difference can especially be discerned in rendering of landmarks which he has previously painted; there is a departure from his previous preoccupation with form and a greater emphasis on expression, as a more abstract quality emerges. Through his career, Ang exhibited his art at numerous solo and group exhibitions both in Singapore and internationally. In 2009. Ang received the Cultural Medallion for his contributions to visual arts in Singapore. Today, Ang continues to paint and is currently exploring the combination of western elements with Chinese ink strokes. 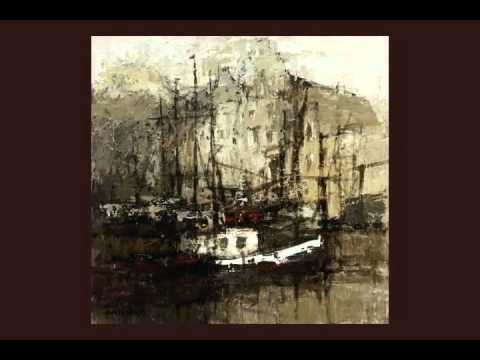 His many landscape and abstract works remain well sought-after by collectors around the region and can be found around the world in locations as diverse as the Istana in Singapore and the permanent mission of the United Nations in New York, USA.